Vascular endothelial growth factors (VEGFs) constitute a sub-family of growth factors that stimulate the growth of new blood vessels. VEGFs are important signaling proteins and initiate angiogenesis via several signalling cascades. 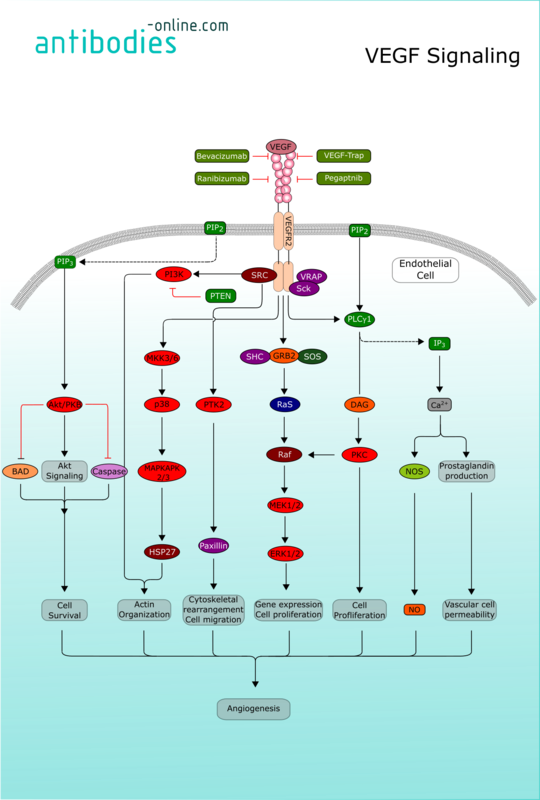 All members of the VEGF family stimulate cellular responses by binding to tyrosine kinase receptors (the VEGFRs) on the cell surface. 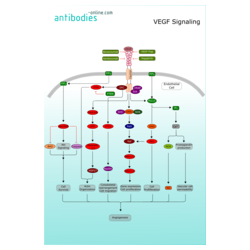 VEGFR-2 appears to mediate almost all of the known cellular responses to VEGF1. After receptor dimerization and autophosphorylation, several SH2 domain-containing signal transduction molecules are activated such as PLC-γ), VRAP (VEGF Receptor-Associated Protein), Sck, and Src2.